With Thanksgiving around the corner and the fact that we will have plenty of guests visiting come Turkey day, this weekend I broke out the brew kettle so I could be ready with fresh beer on tap. 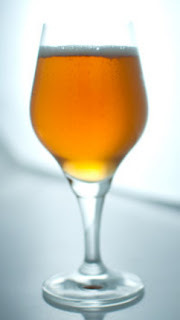 In searching for what beer to brew, I kept coming back to one of my favorite recipes – a Belgian Golden Strong (BGS) which has won me several awards. However, keeping everyone’s cup full of a 9% ABV beer is wanting for trouble. So what about trying to shrink the recipe down for a more sessionable Belgian Pale Ale (BPA)? That could prove to be an entertaining experiment and (hopefully) a good beer to boot. Using Tom’s two prior posts on making big beers smaller as reference, I went about modifying the recipe for my BGS into a BPA. If I could get the similar flavor profile and dry finish, the end result would be excellent. I was fortunate in that the recipe is fairly simple and straight forward. Tom had mentioned his trouble with modifying our Wheat Wine Braggot recipe, which had a complex list of ingredients (multiple wheat malts, two types of honey, etc). For the BGS, there were only three ingredients which I am hoping will simplify the scaling process. For the BPA malt bill, I did not change the amount of either specialty grains (Wheat, Melanoiden) from the original BGS recipe. Only the base malt was modified. Additionally, the BGS calles for 2 lbs of sugar to be added, which was dropped. Lastly, I dropped the number of IBU's a bit to make sure the bitterness stayed in balance. The brew day went off well with the only trouble being the gusty winds that knocked over everything except the brew kettle. Reflecting back after the brew day, there were to modifications to the recipe that I am conflicted on. The first was that the local homebrew shop did not have the yeast I wanted (WLP570), so I had to take a substitution (WLP500). Secondly, I kept going back and forth with whether to leave the beer color the golden hue that the BGS would have been, or to modify it so that it was within the color ranges of the BJCP guidelines (which makes it more of an amber beer). I’m still gritting my teeth about it, but I did add 2 oz of Weyerman’s Carafa Special II to darken the SRM color. The Carafa should add minimal flavor contributions, so I'm hoping the only effect is on the appearance. While the beer is not an exact translation of my favored recipe, I did enjoy the recipe modification exercise and I’ve got a beer bubbling away in the fermentor to look forward to. Below is the recipe I ended up brewing – I’ll be sure to report back on how it turned out in a future post. Brewed on 11/12/2011 by myself. After the boil was complete, chilling was accomplished with an immersion chiller. Being a little lazy on brew day, I let the wort chill for 2-3 hours before racking it into the fermentor. Aeration was accomplished via an aquarium pump and diffusion stone, run for 30 minutes. Aerated wort was placed in the fermentation chamber at around 60° F. The beer was allowed to free rise up to 67° F, where the temp controller kicked in to maintain a 67° C fermentation temp. Fermentation activity kicked off within 24 hours of pitching. "It is not 'just beer', it is a noble and ancient beverage which, like wine, food, and television advertising, can be extraorinarily good or unmercifully bad."